Outclass the chilly weather in the SKECHERS Revine – Hopkin boot. Waterproof suede and synthetic upper in a lace up casual insulated cold weather mid calf height boot with stitching and overlay accents. Thinsulate ™ insulation. MDM’s FIND OF THE DAY for ALL SEASON FASHION is UK-based clothing and accessories store: SimplyBe. Finally, there is an online store that offers chic fashion choices for young plus size women: sizes 10 to 28. Online or in catalog, you’ll find blouses, T-shirts, tunics, skirts, dresses, vests, shrugs, sweaters, jeans, dress pants, jackets, suits, evening wear, swimwear, shapewear and lingerie, wide calf shoes, purses, belts, and other accessories! Simply Be sells several brands including Joe Browns, Cool Britannia, Angel Ribbons, Abigail, Jeffrey & Paul, Anna Scholz, Sole Diva, and more! All clothing is well-designed, cut/fitted, and true to size. Usually the colors are accurate, however if you are ordering from the catalog be sure to look at the items online too (MDM noticed a few color variations from catalog to online). Items can be fairly pricey and if you are ordering from out of the country you’ll like encounter custom’s fees in addition to sales tax which is mentioned in their online policy but not stated on the print-out receipt. However they usually offer several discounts to save you cash such as catalog and online promotional codes ranging from 20 to 30% Off (not permitted to use more than one code). You can save even more if you wait for end of season sales such as the 70% off SUMMER CLEARANCE SALE going on right now. When selecting clothing and accessories outside the UK, MDM recommends looking for unique fashions that you could not find elsewhere and look at the fabric. Select natural fabrics such as silk, wool, 100% cotton (or high percent cotton to polyester). Acrylics tend to pill after washes or over time. When you get items, read the directions. Some outfits say that the color in the fabric may bleed; you will need to pre-soak them in cold water then wash before wear. Marilyn Monroe Inspired Skirt & Obi Belt! Jackie Kennedy O. Inspired Dress! Frog Town in St. Paul, Minnesota has one of the largest immigrant Hmong populations in the United States. MDM’s new FIND is the Hmong International Market, hidden across from Scheffer Playground on Como Avenue. Hmong International Market offers traditional foods from Laos, Thailand, Vietnam, and other Asian countries in their West Building. MDM’s recommendations are the traditional Hmong sausage (slightly spicy, but delicious! ), bubble tea (various flavors), and jelly drink (Nab Vam). Other indoor buildings and outside tents you will find clothing (modern and traditional), shoes, jewelry, cosmetics, arts and crafts, plants and herbs, traditional medicines, music, and more! Vendors and patrons are extremely friendly. Your senses will definitely be on overload with all the wonderful sights, smells, and sounds! FYI: Take it easy in the parking lot! Potholes galore! What”s more romantic than floating candles, bubble bath, and fragrant lotion? How about stepping from a warm bath into the arms of your love holding a luxurious bath sheet? A-a-a-h-h! 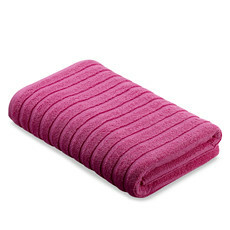 Bed Bath & Beyond ® has a deal on luxurious Tropical Retreat Bath Sheets in 100% rubbed cotton, 30″x62″. At $9.99+sh, a fraction of the regular price, your honey will enjoy the bright colors of the Caribbean in Hot Pink (shown) or Aqua. MarkdownMom's Find: B-B-Blistering Hot Fashion Statement! 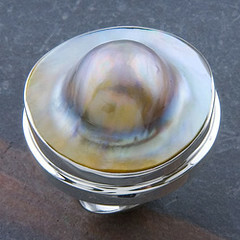 Pearls are always in fashion and there are so many types that you can pick from. Of course, there are the perfect akoya strand from mikimoto or the tahitian or south seas saltwater pearls are the classic and keepsake pearls and cost mega $$$. However, designers have been mesmerized by the luster and radiance of pearls and have discovered the less-than-perfect pearls and incorporated them into fabulous designs. Keshi, mabé, BIWA, potato, baroque, rice or seed, button or blister pearls are entering the fashion world of haute couture. Also, large chunky rings are so-o-o in as we save money by updating our present wardrobe with accessories. MarkdownMom found this large blister ring that marries the edgy pearls and chunky ring in a look that definitely spells runway hot! At Overtock.com for $38.99+sh. 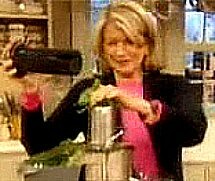 Martha Stewart has become the spokesperson for the best in culinary arts. But having the best can be very expensive. Markdownmom.com is dedicated to finding the best for less, or Elegant Living On A Budget. 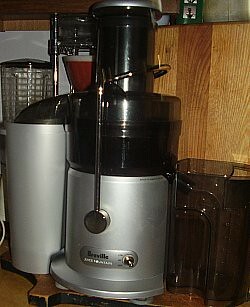 One of the best juicers evaluated by consumers is the Breville Juice Fountain. The first generation was pricey at $199, and the newest models in this line can run from $99-$399.95. Yikes! Although we can agree that this product is probably well worth it, few of us can afford that steep price. Markdown Mom was shopping at her favorite thrift store and found a first generation Breville Juice Fountain. No, it wasn’t in a box, but scotch taped altogether, and appeared that all the pieces were there and intact. Even if it was missing a piece, you can always email or write the manufacturer and pay for a replacement part providing that the item is not ancient. Like every used electronic, Markdown Mom tested it instore by plugging in the base; however, it did not turn on. Reasoning that it probably had a safety feature like other processors that require complete assembly to make it operational, and there wasn’t an “as is” disclaimer on the item, a chance was taken because of its’ $19.99 price, yes, under $20, and purchased. After getting it home and assembling it, Markdown Mom tested it and violà! It works perfectly. Here is where some knowledge of electronics, and the willingness to take a chance on an item that was used, but in good condition, paid off. There was a back-up on this in that the thrift store would honor return of the item in 7 days with the sales slip. See, You Can Get The Best Like Martha–You Only Have To Be Willing To Take A Chance! A Le Creuset Dutch Oven Under $100? No Way! Every home chef knows how Le Creuset is a premier line of cookware, made with cast iron and enamel, under the name Cousance this line was noted for its’ even cooking, and one pot meals. But because of its’ superior reputation, it is very expensive and out of budget considerations for most of us. Even online auctions list Le Creuset in used condition and sell for about $70-$100 depending upon condition, including shipping and handling. However, just in time for Mother’s Day, now is the time to get a 3 1/2 qt. 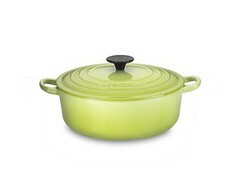 Wide Dutch Oven from Williams-Sonoma, in Flame *or Lemongrass* (pictured),for $99.95 plus sh, sales tax! I know, what a terrific deal!! This is a small size, but perfect for making one pot meals for 2-4 people, or for making that perfect risoto. Well, Williams-Sonoma’s May 2009 Catalog has the advertised $99.95 price on page 10, reg.$250 . The only colors that the ad lists(and you will see this is important) still in stock are flame (red) *and lemongrass (green)*. On page 50, under Price Guarantee, the catalog states that every price in the catalog is guaranteed through May 11, 2009.
price and according to the catalog (page 50) was good to May 11, 2009.
final price charged to my (charge card) will be $99.95 +sh, tax. Thank you. Save this email, this is your guarantee that you get the catalog price. Check your emails frequently or call Williams-Sonoma (it takes about 24-48 hours to process order and to credit your account). *This item is also available in Dijon (yellow), however that is not a color listed in the catalog–but you may try to get them to let you get that color anyway for the catalog price. May 11, 2009 deadline is only 2 days away, so act quickly. Great gift for Mother’s Day–just tell her its’ in the mail!